Sometimes you need a normal Bluetooth speaker, but sometimes you need one that can handle just about anything you or nature can throw at it. 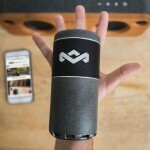 House of Marley has recently introduced just such a speaker in the Chant Sport, but how well does it perform when it comes to cranking out good-sounding tunes? Let’s have a listen to this water bottle-sized speaker and find out. The House of Marley Chant Sport features a pair of 4.5 watt 1.75-inch drivers along with a passive radiator, for delivering exceptional sound quality from something the size of a water bottle. It is manufactured from blended bioplastic, silicone, and a recyclable aluminum housing, and supports both Bluetooth 4.0 and 35 mm audio input. For making calls, the built-in microphone allows the Chant Sport to function as a speakerphone. Now let’s talk more about the body of the speaker. First of all, it’s designed to float. I got brave and tested it, and sure enough, it floats. It’s also protected against water ingress, to the IPX7 standard. The IPX7 standard means the device will resist water exposure of up to one meter for up to 30 minutes. The speaker also has a cloth loop with a carbiner clip attached to it. 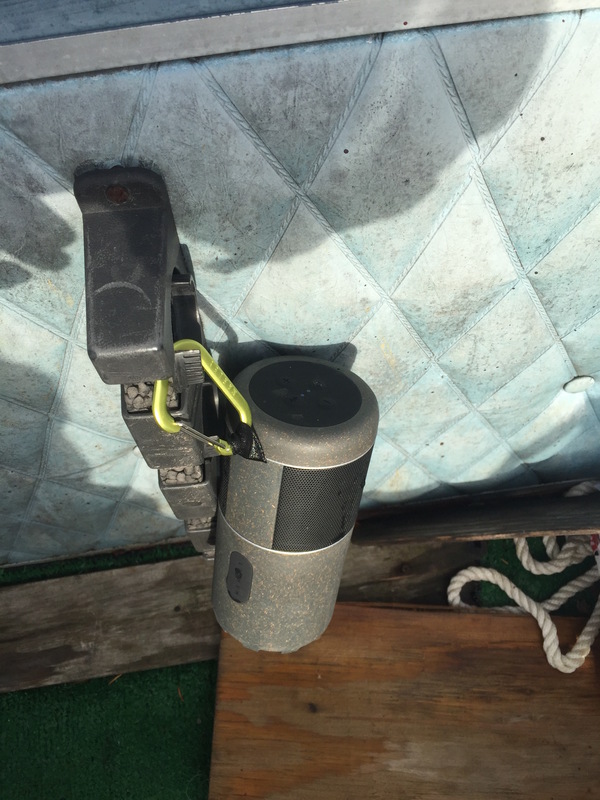 I found this clip sized perfectly to attach the speaker to a backpack or, as below, the rod holder in a boat. The Chant Sport connects easily via Bluetooth, but you can also connect to it via the 35 mm audio input jack. It will play your music for up to eight hours wirelessly, and the speakerphone functionality works splendidly. 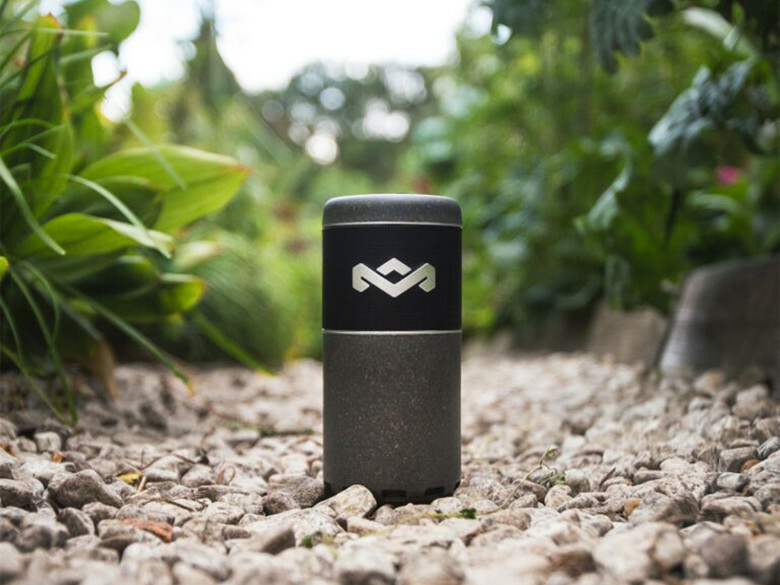 The Chant Sport looks rugged, and it fits the bill for an outdoor speaker. But how does it sound? It captures House of Marley’s “Signature Sound” of smooth, powerful bass along with precise mids and an energized high end. The bass booms, the highs are crisp and clear, and the clarity is wonderful. I’ve tried out several speakers that advertised being waterproof, and the Chant Sport is by far my favorite. 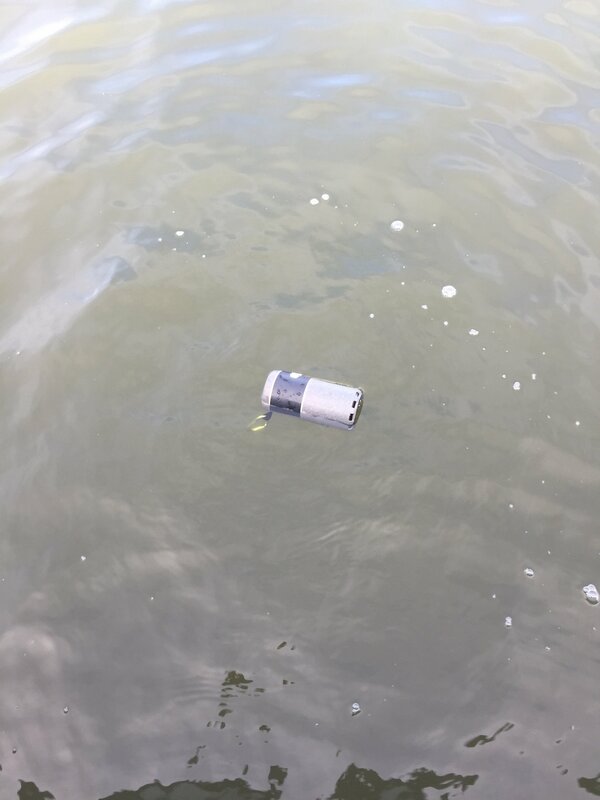 I do a lot of boating, and the ability of the speaker to float definitely impresses me. The sound quality is fantastic, which is really more important than anything else. You can purchase the House of Marley Chant Sport directly from the manufacturer for $119.99, or you can score a deal on Amazon and get it for $99. It fits in cup holders and water bottle cages, and even includes a carabiner clip to attach it to your backpack. It demonstrates excellent acoustic fidelity, it’s waterproof, and it floats. 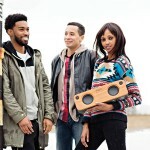 The House of Marley Chant Sport is definitely a great choice for taking your music on the go in the outdoors.